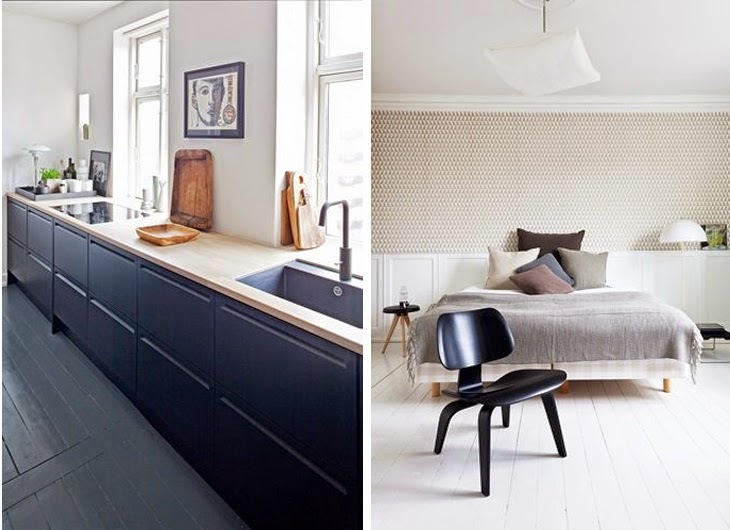 Oh, Black and White, it work so well when done good. 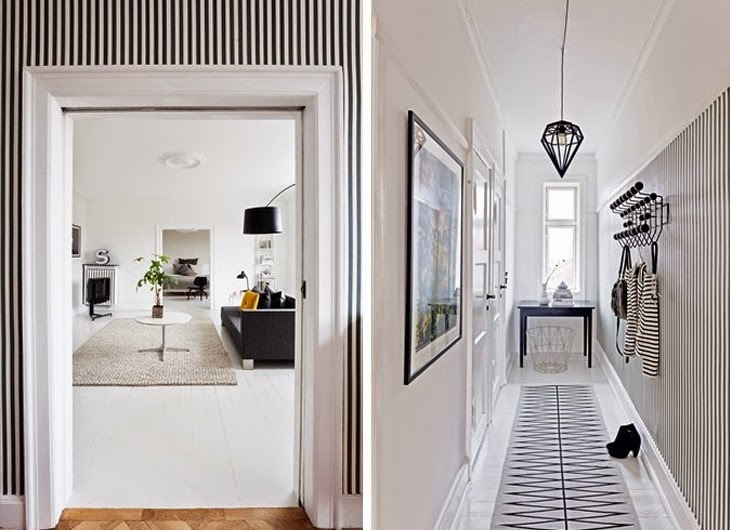 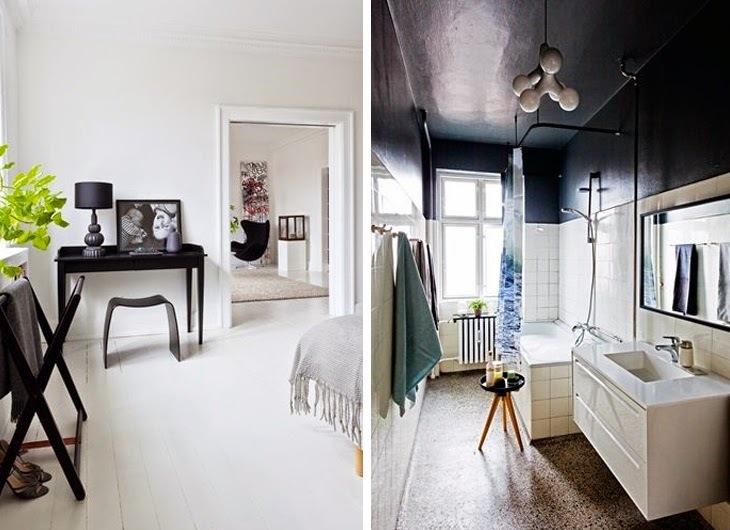 Like in this pretty, clean danish apartment. 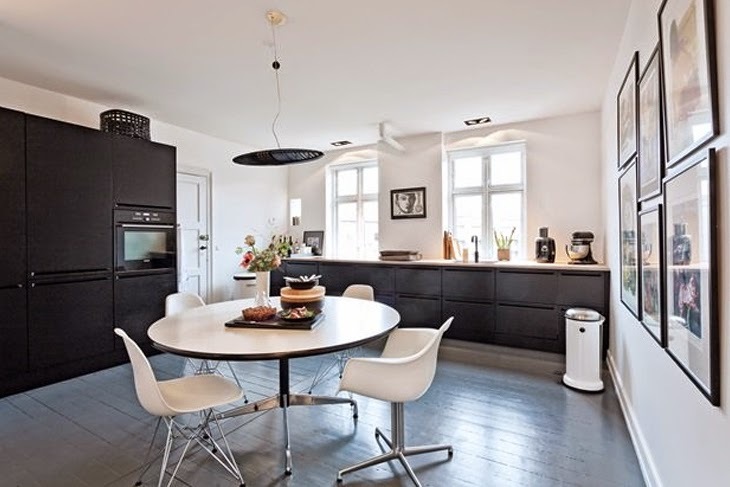 There is so much to love, large kitchen with black cabinets and dark grey painted wooden floor, spacious living room, use of patterns in the hallway and many more.